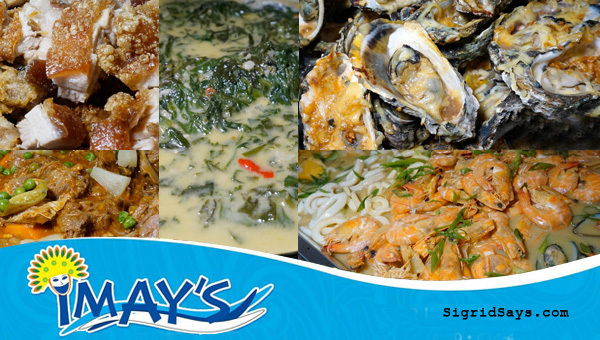 One of the most well-loved homegrown Bacolod restaurants is Imay’s Bar and Restaurant, located at 6th-Lacson Streets, Bacolod City, Negros Occidental, Philippines. 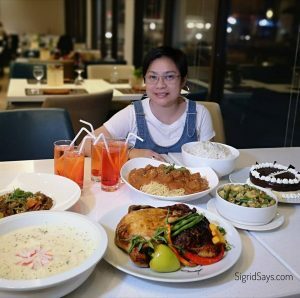 It’s a go-to place for casual dining, especially for big groups, because of their affordable food, big servings, and tasty dishes. Imay’s Restaurants is now 15 years old! 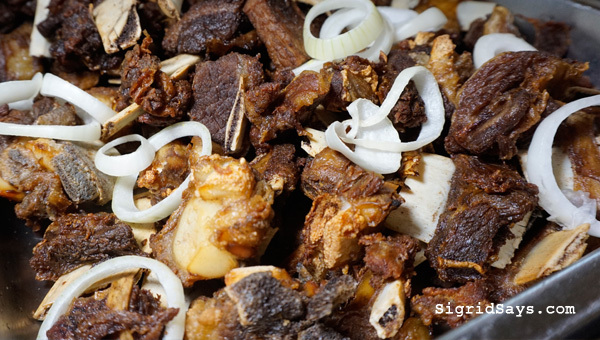 This homegrown Bacolod restaurant has served so many locals and tourists throughout the years. Imay’s Bar and Restaurant was among the first few restaurants along 6th Street. 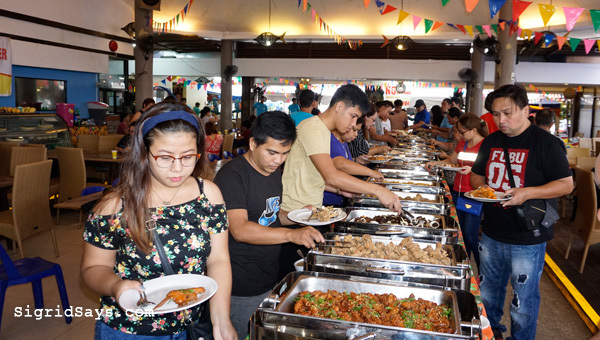 Eventually, the area came to be casually known as the Restaurant Row, because of the many small to big Bacolod restaurants that have opened in the area. Sizzling cansi steak at Imay’s. But while many have closed, Imay’s has remained strong. In fact, they continued growing. They kept on expanding and adding new features. such as more air conditioned function rooms. One of their recent additions was the playroom, which my children really enjoy. 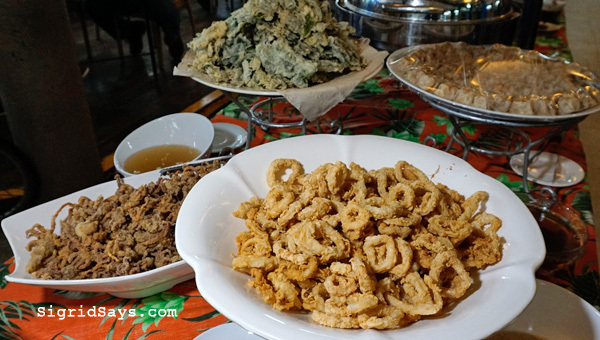 Famous appetizers of Imay’s Restaurant Bacolod. Perhaps every Bacolodnon has a good memory at Imay’s Bar and Restaurant. It could be a romantic date, a birthday, an anniversary celebration, even a company get-together. It seems that the appeal of Imay’s trascends age, gender, and even social status. 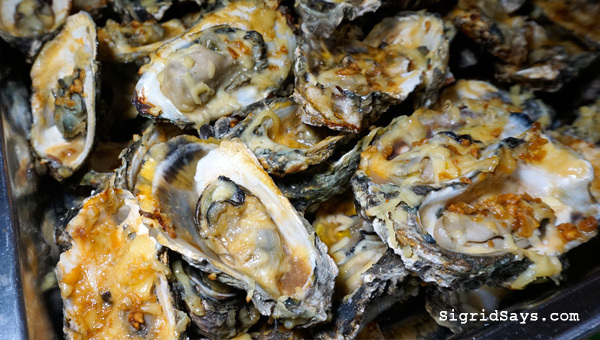 One of my favorites at Imay’s is their cheesy baked talaba (oysters). And some of the dishes are memorable for some people, too. For me, it’s their oysters and the porbidang kangkong. haha What about you? What’s your favorite dish at Imay’s? 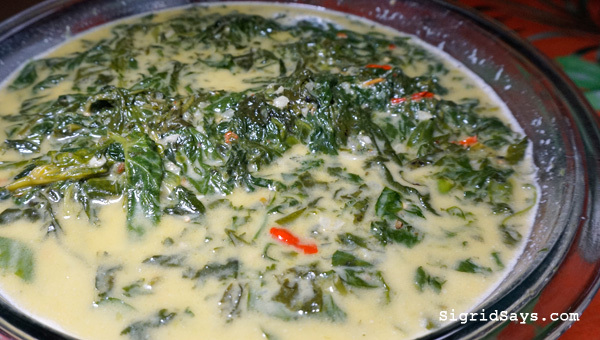 Imay’s famous porbidang kangkong — the spicy kangkong cooked in coconut milk. 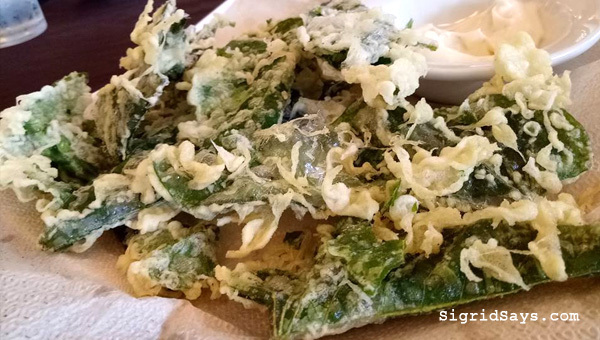 Another version of the watercress is the crispy fried kangkong. Also a very popular appetizer at Imay’s. So it has been a yearly tradition at Imay’s Bar and Restaurant to hold a special fiesta lunch and dinner buffet. 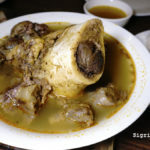 For an affordable ticket, one can partake of their sumptuous collection of Pinoy favorite dishes, which include lechon (roast pork), sizzling cansi, kare-kare, and most of the items on their menu. The 15th year anniversary buffet at Imay’s Restaurant. Buffet table is now open at Imay’s Restaurant. This year, it’s P450 per person, all in, inclusive of unlimited drinks. There were about 26 dishes in all! Hundreds of diners joined in the celebration from lunch to dinner. They hold this only once a year, so we can expect this again in 2019. It happens every May 31. 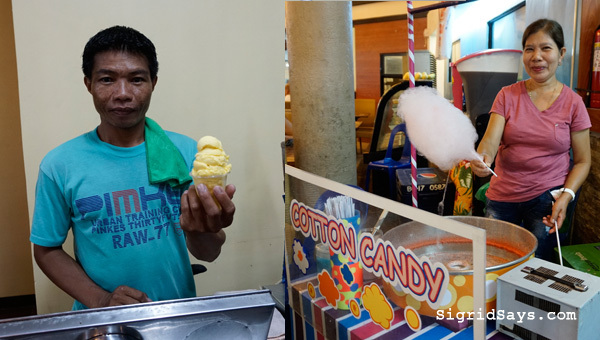 To complete the fiesta ambiance of the 15th year celebration, Imay’s had food cards like cotton candy and sorbetes. Find Imay’s Bar and Restaurant on the map. So yummy! 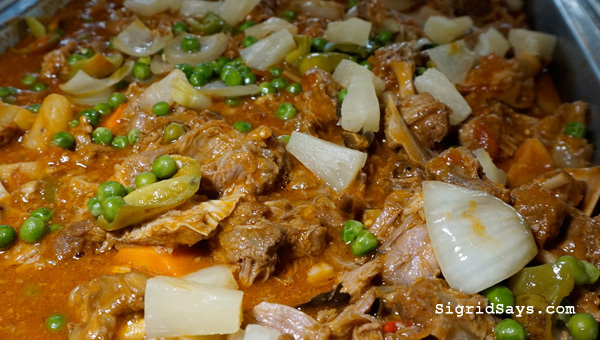 Caldereta (goat meat stew) by Imay’s. 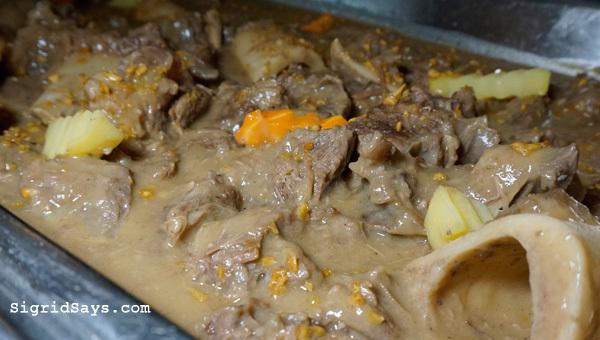 Comment below your favorite memories and dishes at Imay’s Restaurant Bacolod. 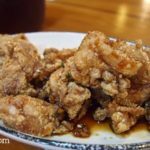 great blog post on Imay’s Restaurant. loved the food pictures. Made me drool. Now, I am hungry. What a lovely Bacolod restaurant and it’s good to know that they are constantly making expansion and adding improvements to the place. It’s great that is suitable for families with kids, too. Imay’s Restaurant really looks good. Hum, everything looks so tasty at Imay’s! I love a good buffet with so many choices like this Bacolod restaurant, everything is really well presented as well! What a brilliant selection – it looks like they have such a wide range on offer. The KangKong looks delish! 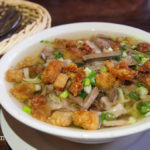 Never tried Philippino food but your pictures look awesome and have inspired me to try out some of the dishes you have listed. That baked Oysters looks amazing. Love the different options of food that is available. Thanks for sharing! Wow this all looks very exotic and not what I have eaten before, but I would still like to try it! They have a great range of foods available! Oh wow. The food looks so good! We need to visit Bacolod soon for this! I think the price is perfect too. Oh wow, I would like to try the food in this restaurant, once I visit Bacolod. 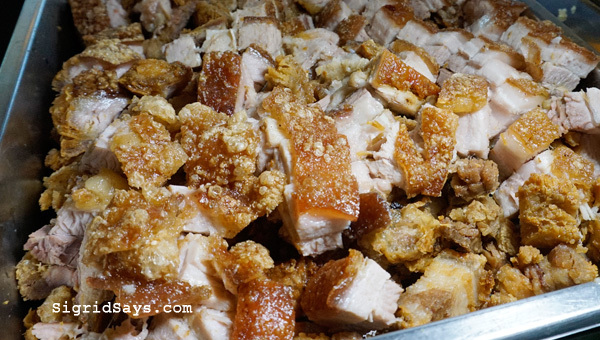 They look so tasty, especially the Lechon Kawali and Calderata 🙂 So easy to look for Imay’s too, because of it’s location. It is great to see a business thriving when so many others are shutting down. I like the sound of the crispy kamkong, do they have any other delicious vegetarian dishes that I may have as well? 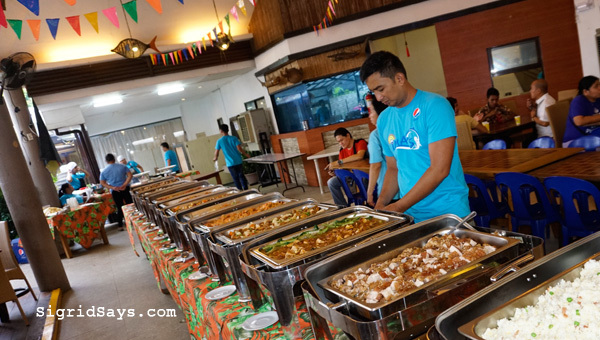 Wow!It’s great to see that they have yearly fiesta lunch and the dinner buffet! 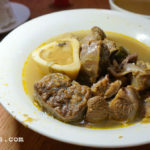 No wonder you’ve bookmarked the restaurant and I must admit that the tadiang looks too crispy and yummy!I’d take that!